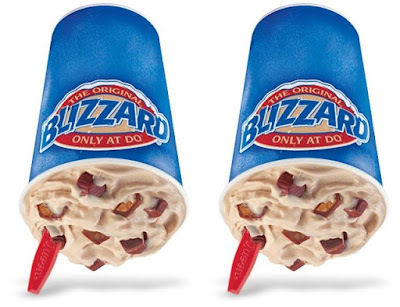 Fazoli's Offers "$5 All Day Meal Deal"
Dairy Queen introduces the new Triple Truffle Blizzard as the Blizzard of the Month for August 2017. The limited-time dessert features mini fudge, caramel, and peanut butter-filled truffles mixed into vanilla soft serve along with chocolate topping. The Triple Truffle Blizzard could be construed as a follow-up to the Salted Caramel Truffle Blizzard first introduced back in 2015. The idea here is you don't know what's in each truffle until you bite into them.